Tortoise Block | Zoo Med Laboratories, Inc. 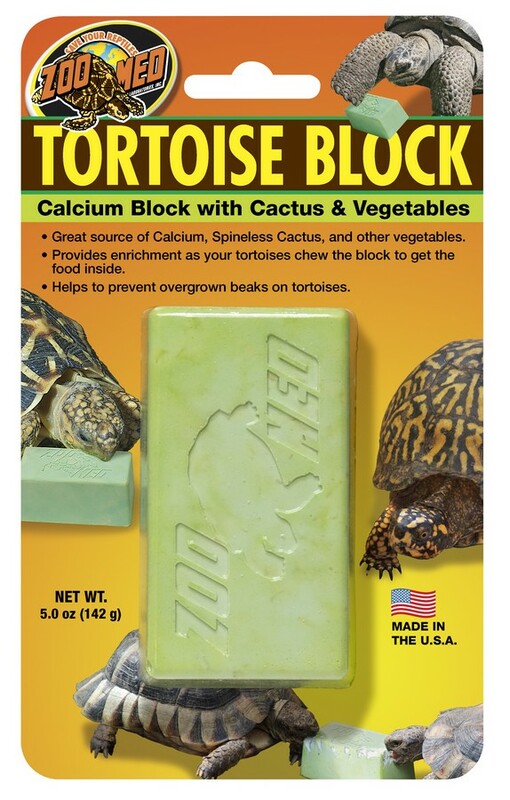 Zoo Med’s Tortoise Calcium Block is designed to provide supplemental calcium to your tortoise’s diet while also helping to prevent your tortoise’s beak from becoming overgrown. This formula includes a mixture of nutritious vegetables including Spineless Opuntia Cactus, Carrots, and Alfalfa in a solid Calcium base. The block provides enrichment to tortoises as they bite the block to get to the food inside. Helps to prevent overgrowth of your tortoises’ beak.